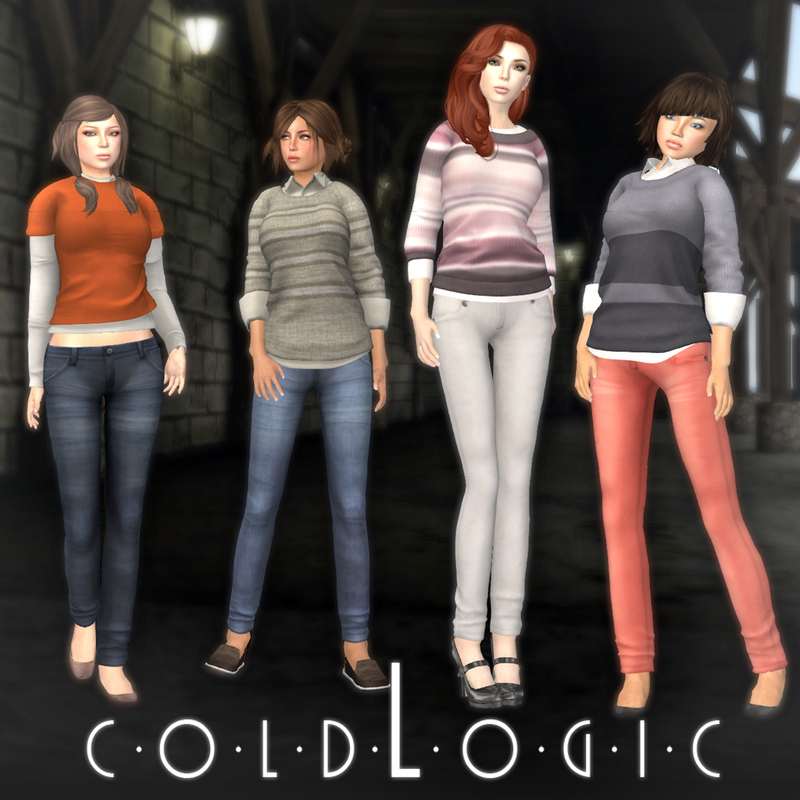 As the leaves start to change color and the Summer winds down you will find yourself needing just an extra layer here and there to keep warm and coldLogic is happy to oblige. 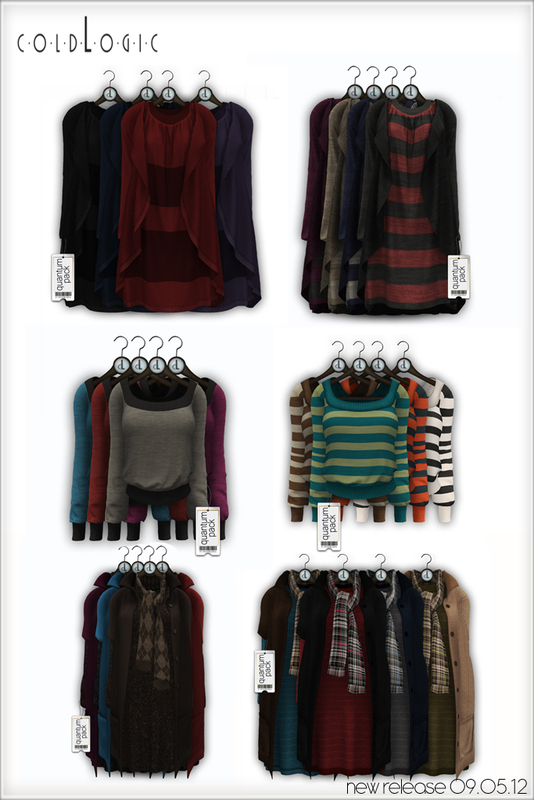 New at the store today we have ten new layered tops for you to enjoy and no less than four jean sets coming in a range of traditional and Fall colors. 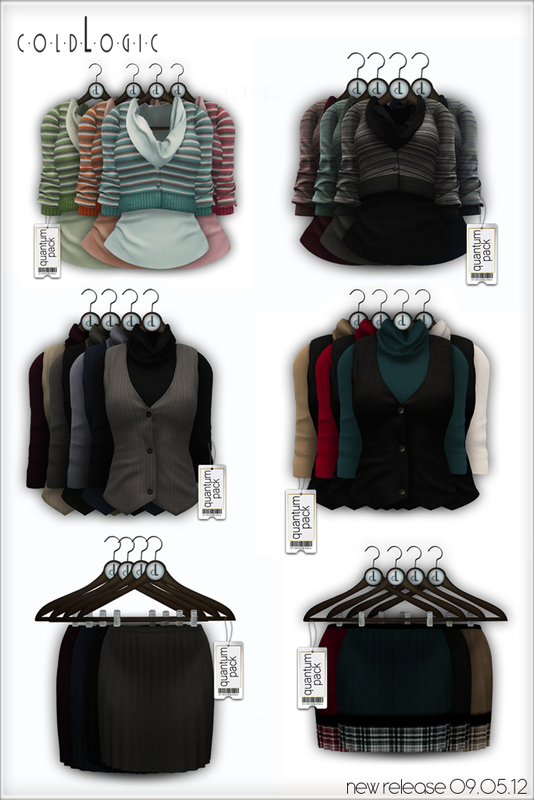 You can find these items in the usual main store location and online at the marketplace. Enjoy! 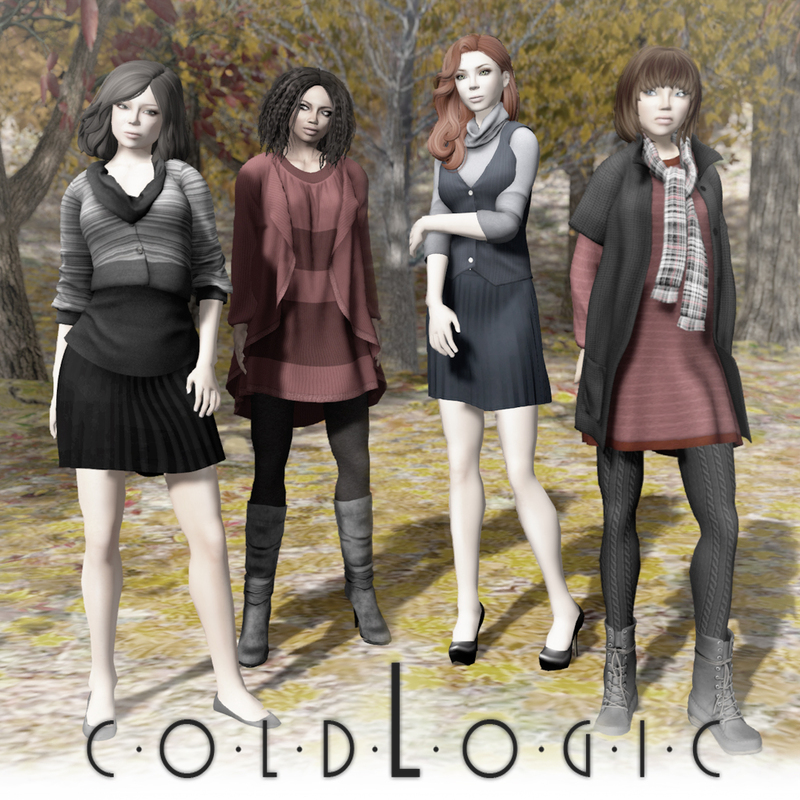 The days are getting shorter and the coats are getting longer, fall is fast approaching and we at coldLogic are here to ease the transition! Our new fall fashion release includes a coat/dress combo (can be worn separately), a beautiful layered dress, three new tops and a perfectly pleated skirt. 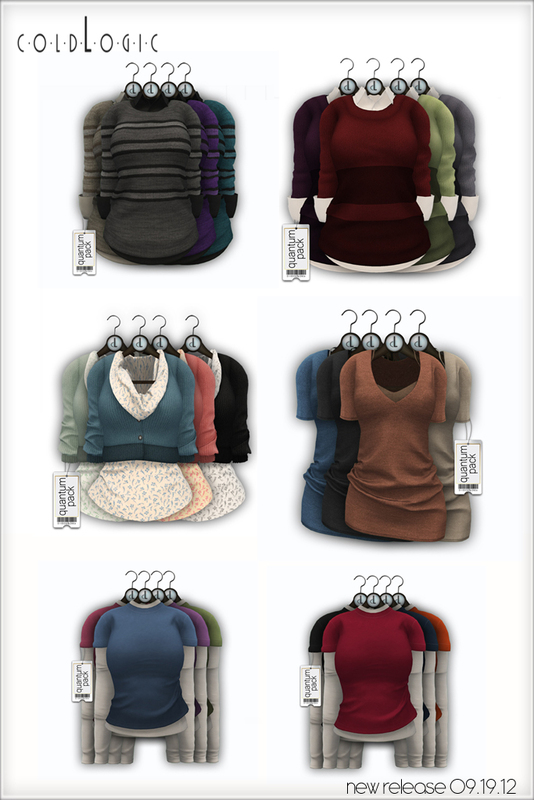 As usual, all items are available in two flavors at our mainstore location and the marketplace. Also, FATEwear has an official launch date. Set your calendars and schedule your men’s attention for September 8th, 2012. Read more about it on the official blog.